The results of the 77th Annual DownBeat Readers Poll are in. 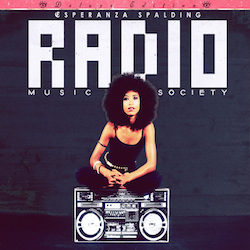 Legendary bassist Ron Carter was named as the readers' choice for the DownBeat Hall of Fame, while bassist/singer Esperanza Spalding was voted DownBeat's Jazz Artist of the Year, and her critically acclaimed Radio Music Society (Heads Up/Concord) was named Jazz Album of the Year. Along with the 34 winners, the poll lists 93 of the year's top recordings in Jazz, Blues and Beyond. The poll includes more than 700 top artists. Learn more.